A survey of more than 1,200 British members of the public has found that more than a third (36%) believe taxi drivers will be extinct within the next decade. Educators, journalists and tube drivers also made the top five jobs that the public believe risk being obsolete over the next ten years. An online local services marketplace has found that more than a third (36%) of people think taxi drivers are most likely to be extinct within the next decade. Bidvine, commissioned the survey of 1,228 people to see how the public think advances in technology are changing the job market. When asked why they think these jobs will become extinct, nearly three quarters (72%) answered the rapid progression in technology while 26% stated the growing convenience of online services. The World Economic Forum has said five million jobs will be gone by 2020 thanks to artificial intelligence alternatives. 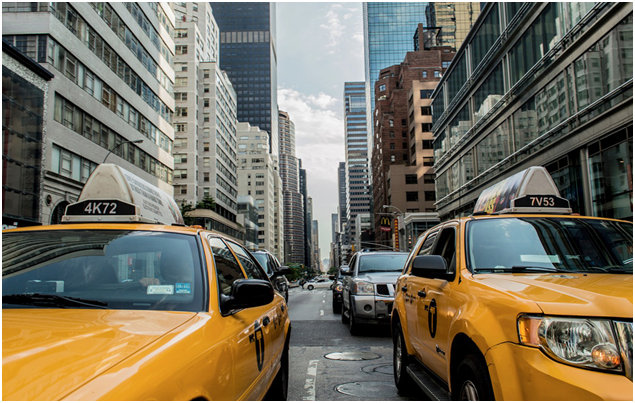 The introduction of self-driving cars was the most popular justification for why taxi drivers would become a redundant job, with almost three quarters (73%) of respondents stating that autonomous driving technology will make the sector extinct. The rising demand for distance and online learning was the most popular reason for why respondents chose educators as a job that will go extinct, with more than half (51%) stating that online education platforms will take over the industry. Self-service checkouts were seen as the leading cause of cashiers becoming an extinct by two thirds (65%) of people. Many mentioned the recent opening of Amazon’s cashless store as the main reason behind their choice. People felt that the rise of citizen journalism on social media platforms (37%) and the decline in print journalism (46%) would be most responsible for the disappearance of journalists as we know them. “The evolution of the jobs market is fascinating and it’s particularly interesting seeing how members of the public see the future. Technology is going to continue to play a leading role in pushing change forward, and just like the Industrial Revolution in the 18thcentury, we’re likely to see jobs change rapidly in order to keep up.